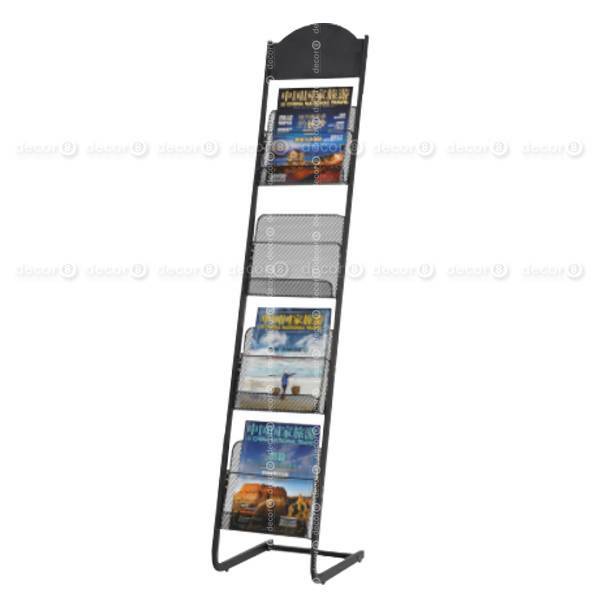 Create a professional office setting with the Wright Brochure & Magazine Stand. 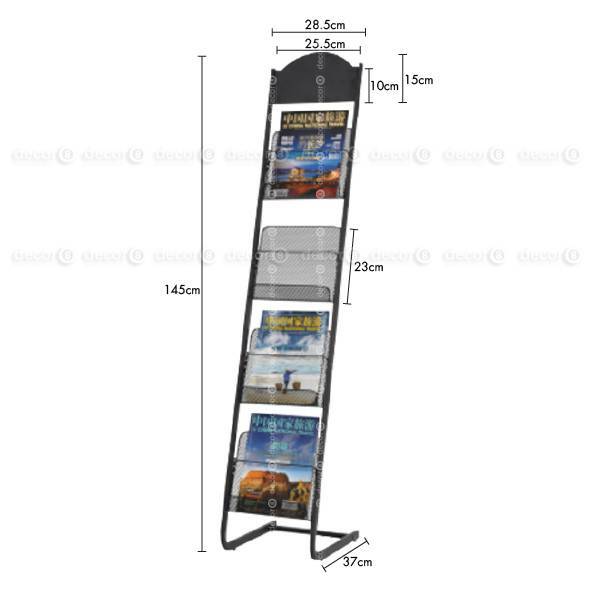 Made with sleek black painted metal, this professional brochure stand is perfect for displaying leaflets, brochures, pamphlets, catalogues, waiting magazines and other miscellaneous company literature. Perfect for receptions, lobbies, small offices, large offices, exhibitions and more. This item ships in 7-10 working days.